There is no secret to getting the most out of your vehicle for the longest period of time. The way you care for your automobile will dictate how it serves you for years to come, making it important to keep up on routine maintenance and trust only qualified professionals for repairs. 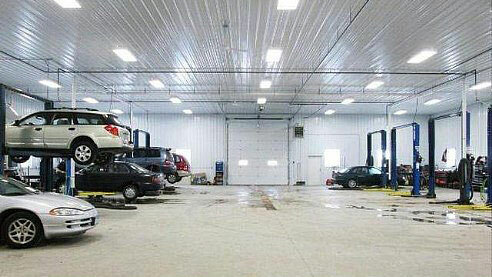 College Way Auto Sales and Services has been providing the proper upkeep and auto repair Fergus Falls, MN residents have relied on since 1995. From oil changes to tune-ups, transmission work to engine repairs, there’s nothing our ASE-Certified mechanics can’t handle! Routine maintenance is preventative maintenance: it keeps costly, complicated problems from arising within your vehicle’s essential functional systems. Getting your engine oil changed, your filters replaced and your systems flushed, keeps them in top working condition. And, while it may seem annoying to remember this maintenance every 3,000 miles, it’s certainly less headache than having to tow your vehicle in for drastic service! The professionals at College Way Auto Sales can help keep you ahead of routine service, to ensure your vehicle is always running in peak condition. Come to us for oil changes and other scheduled services, including brake service in Fergus Falls, MN and the surrounding area. It’s hard to anticipate when your vehicle’s critical systems will fail. No one plans for engine trouble or has the foresight to predict transmission repair, but they can arise at any time, for a number of reasons. If and when you’re faced with a situation that requires auto repair in Fergus Falls and the surrounding area —whether minor or comprehensive in scope—trust our team to deliver unparalleled service to your vehicle. As the local experts in car and truck repair in Fergus Falls, MN, we take pride in assessing the scope of repairs required to get you back on the road, then providing a superior level of service. Our aim is to keep you and your vehicle safe, and to develop a relationship with you that’s rooted in trust. For more information about any of our automotive services or to schedule an appointment for routine maintenance or repairs, give us a call today at 218-739-5426. Come and see what’s in stock on our lot.